Luxury Cornish Yurts offer holiday accommodation situated in Liskeard, Cornwall. 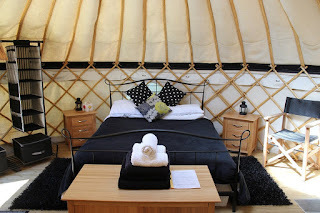 Here at Luxury Cornish Yurts you can snuggle into your own beautiful candlelit yurt, warmed by a log fire, star gazing through the transparent roof of your yurt and be at one with nature, yet surrounded by the creature comforts normally associated with a hotel stay. You can take breakfast on your patio, enjoy a glass of wine in bed or just wriggle your toes in the glow of a log fire and feel completely relaxed. Glamping is much more than somewhere to stay. It’s a combination of unique experiences that you’ll never forget. 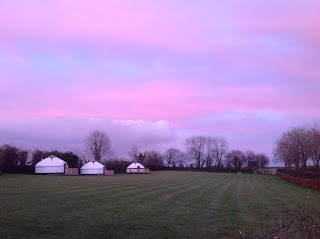 It’s just a great way to spend time with the people you love in the comfort and seclusion of a hand crafted yurt.